Drawing on more than 25 years of diversified legal and business experience, Mitchell Green is now a full time mediator/arbitrator. Mitch combines his natural personality, people skills and peacemaking ability with excellent reasoning and problem solving creativity to facilitate equitable solutions to disputes. Mitch prides himself on thinking “outside the box” in order to move forward a stalemate between parties. Mitch’s style of conflict resolution creates a comfortable, non- adversarial forum which allows the parties to be engaged in the process of mediation—a team approach! Mitch truly has found his passion and loves helping parties resolve their issues. Personal Injury; ADA Disability and Discrimination; Premises Liability, Business and Contract and Trade Disputes, Securities and Investment Loss matters, Insurance Coverage; Employment Issues including; Harassment, Termination and Discrimination; Construction Defect cases and Landlord Tenant disputes. Mitchell Green’s experience as a litigator convinced him that engaging in litigation and being subjected to years of court, legal fees, costs, and emotional stress is not in the best interests of all involved. Anything can and should be resolved via communication! Mitch has achieved a 97% + settlement rate on the hundreds of cases he has mediated. Mitch has been a member of the California State Bar since 1984. Since becoming a full time mediator/ arbitration, Mitch has mediated hundreds of cases dealing with a vast array of subject matters. Mitch’s legal practice concentrated on personal injury litigation and insurance defense, and business litigation, including international business and trade Securities and investment loss cases. Mitch has completed the Los Angeles County Bar Association’s Dispute Resolution Mediation Program and various dispute resolution courses offered by private institutions. In addition, he has been appointed an Arbitrator for the FINRA (formerly the NASD, National Association of Security Dealers) and has held a Series 7 and 63 licenses. Mitch has expertise in complex financial matters, including securities, commodities and derivative investments. In addition to his law practice, Mitch has been Vice President, Director of New Business Development, for a large international Business Process Outsourcing [BPO] company with offices and facilities in the U.S., Philippines and India. Mr. Green has represented international companies and high technology companies in North America and Asia and has mediated many business and labor disputes. 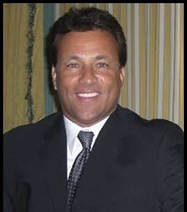 Mr. Green is based in Southern California and available worldwide for mediation.